The exhibiton “The Textile Room” ranges from artisan home textiles from the 1910s to contemporary design. It shows the importance of Swiss textile art in the international art context. 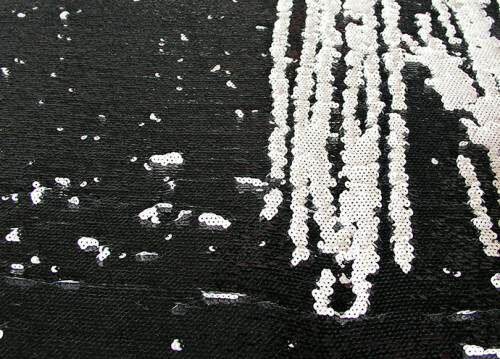 Jakob Schlaepfer presents the fabric “Pollock”, a double-faced sequin creation.